The ways you can make your wedding special are endless, but for this post we decided to focus on the accessories that can complete your bridal look. 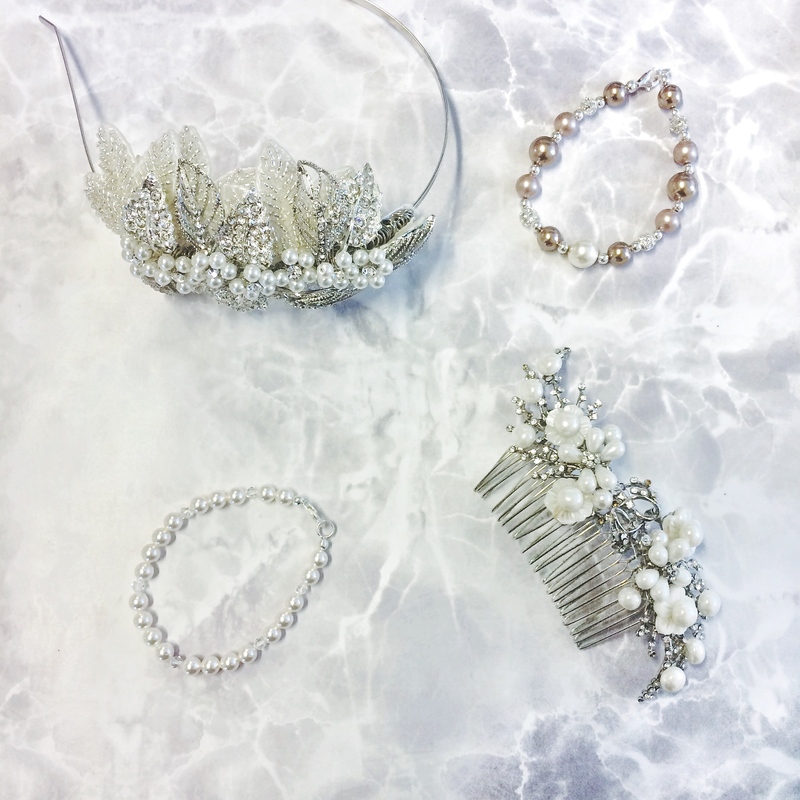 Over the last few weeks, we headed out to showrooms and looked at some of the best bridal accessories from a couple of Irish brands and one international brand. Based in Blackrock, Julie’s showroom is wall to wall sparkle. She specialises in bespoke orders and works very closely with each bride throughout the design process. 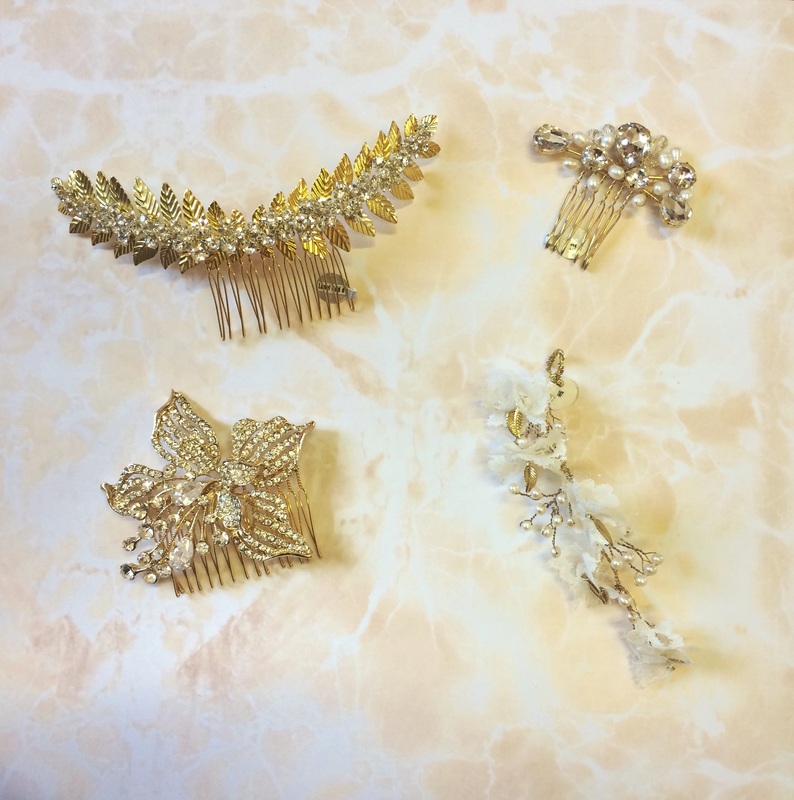 She has a huge range of hair combs, headbands, veils, sashes and jewellery with prices ranging from €34 for earrings up to €200-300 for really ornate statement headpieces. While silver or white gold are still the favourites when it comes to bridal jewellery, we noticed a lot more yellow and rose gold coming into collections too. Grecian-style combs, drapes and headbands are big at the moment, and we love the long, leafy headpiece above for €169. Here there’s a lot of pearl mixed in with rose gold, and one of our favourites is definitely the leaf and pearl vine for €268. If you’re looking for a drape for your hair this one is definitely one of our favourites. 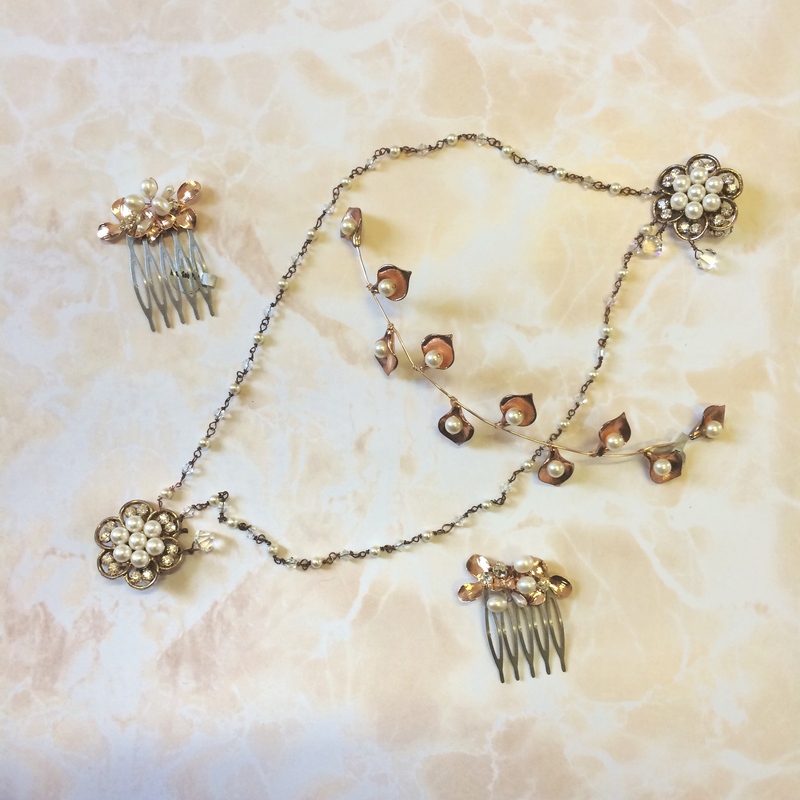 With vintage-style rhinestones on the hair clips on either side and a triple row of draped Swarovski pearls & crystals, this is a stunning piece for €235. 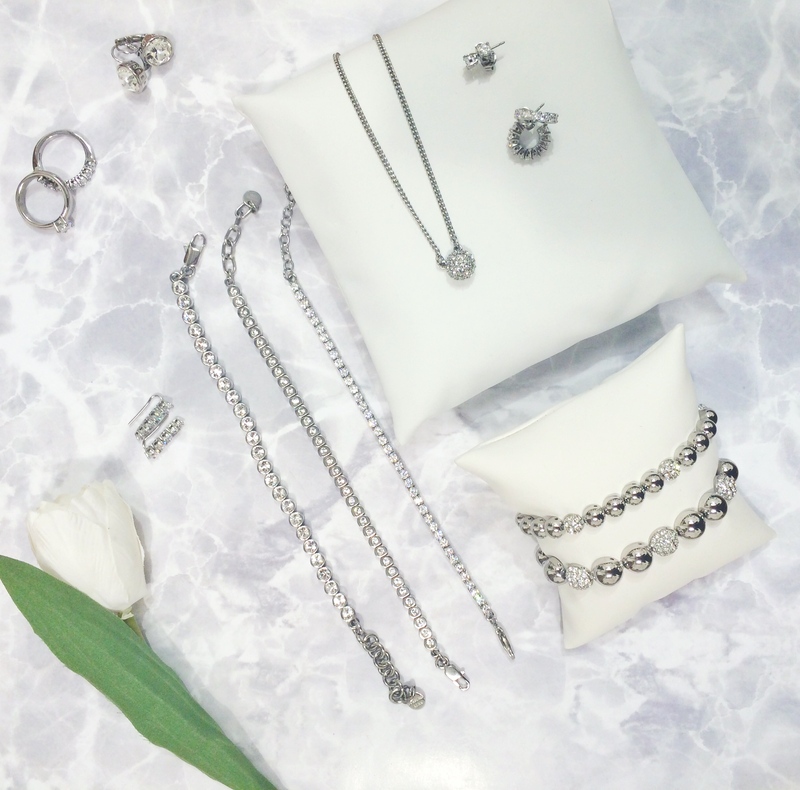 Although its studio is based in Cork, Azure Jewellery has stockists all over Ireland and kindly sent us a sample of its latest pieces to get a closer look. All of Azure’s jewellery is handcrafted in its Cork studio. 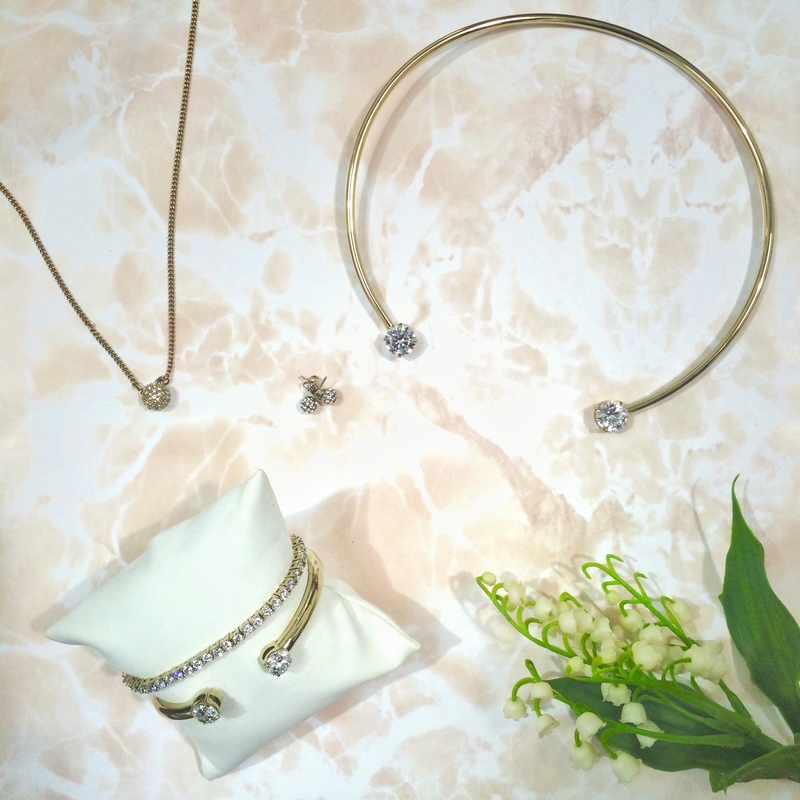 The products featured here range from €55 for the Belle bracelet up to €195 for the intricate Bowie drape. 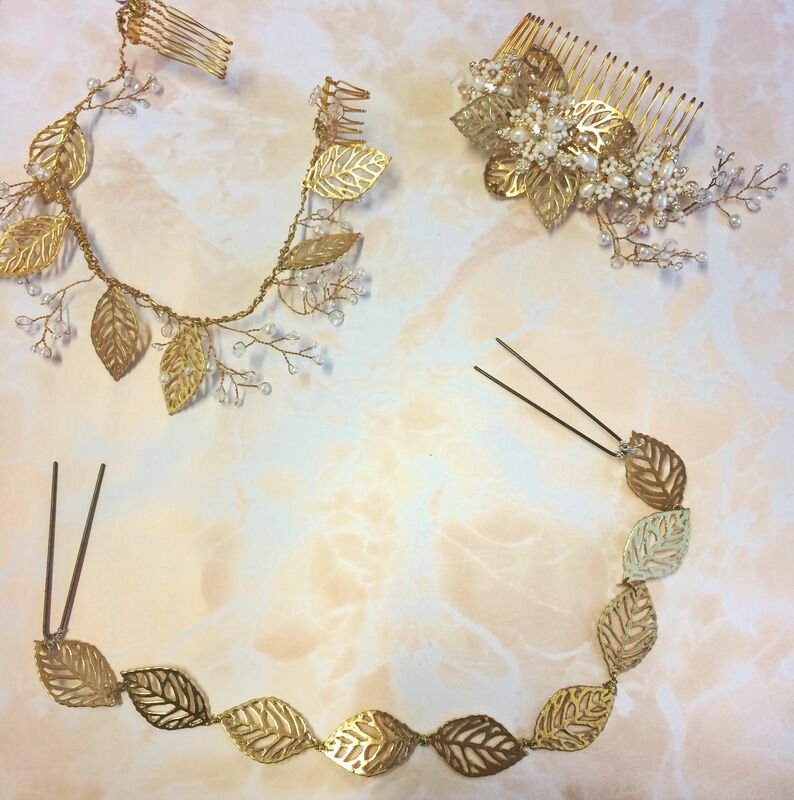 Similar to Jules Bridal Jewellery, we saw more gold in Azure’s latest collection, as well as rustic leaf designs. We especially love the Bowie drape with Swarovski crystals and pearls in between the leaves, for €195. Pearls are always a winner for brides so we chose a few of our favourite pearl-encrusted pieces from Azure’s latest collection. 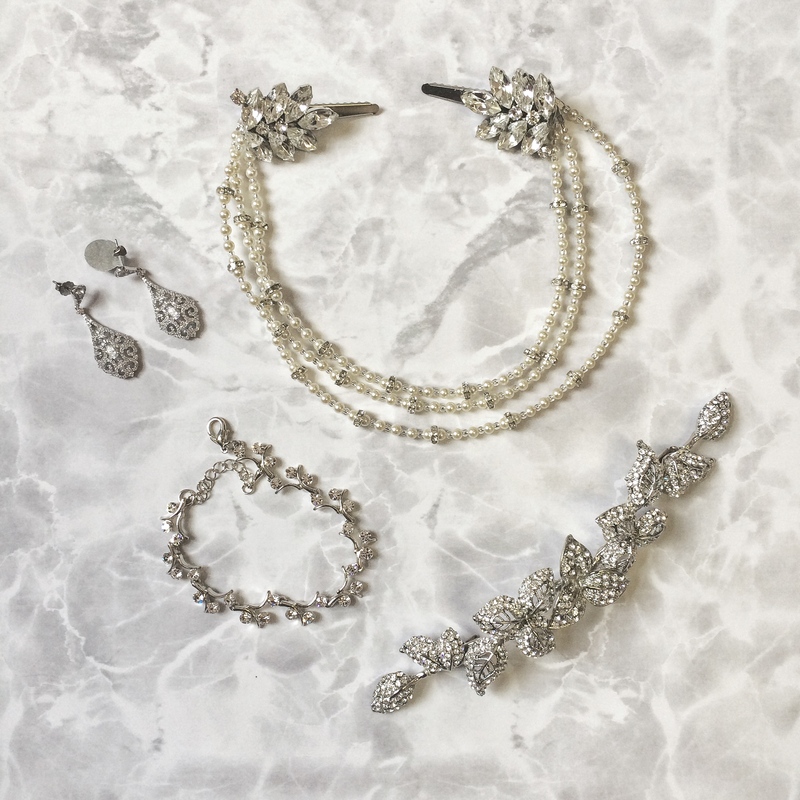 For a statement headpiece that will easily fit over almost any hairstyle, we adore the Esme hairband for €165 and the delicate Belle bracelet for €55. 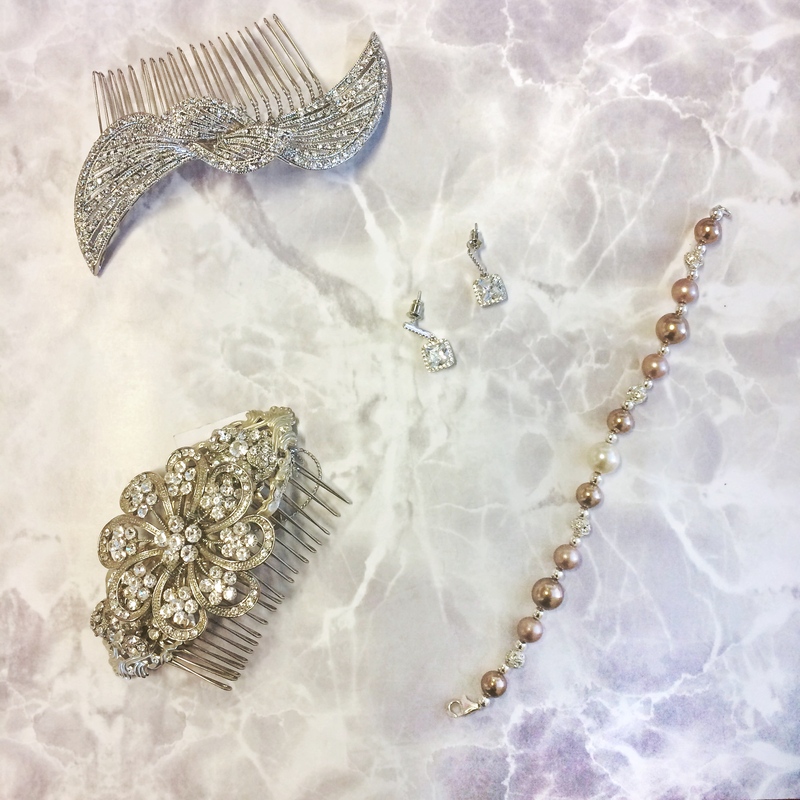 If you’re a bride looking for a little more bling, the Luxe Swirl comb is the perfect piece for your hair. The angel-like wings make it the perfect symmetrical comb for the back of your hair, or swirling around either side of your hair for €90. Don’t forget about earrings! The Aimee earrings pictured here are even more sparkly in real life and cost €75. For something unique and different, DYRBERG/KERN is the perfect brand for brides. 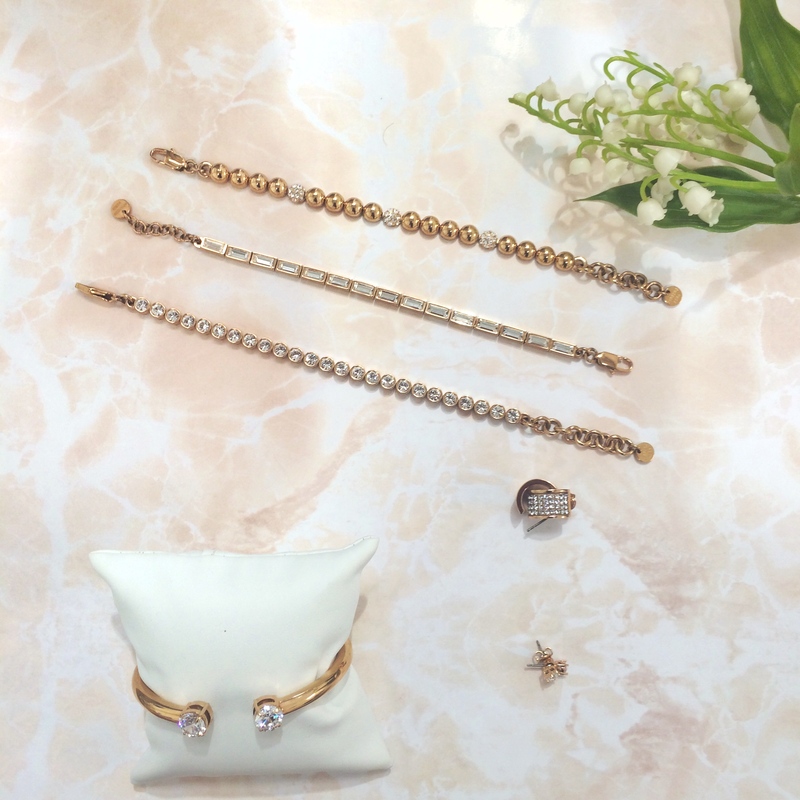 For an edgier look, or for something for your bridesmaids, DYRBERG/KERN has anything from delicate tennis bracelets and cool cuffs to sparkly earrings and rose gold pendants. One thing we’re definitely obsessed with here are is the Radia cuff with cubic zirconias for €109. They’re unique and stunning, gorgeous for bridesmaids as well as brides going for gold. We couldn’t resist showing it off in rose gold too, and that’s one of the best things about DYRBERG/KERN; everything we looked at in one colour metal was usually available in another. The Fontanta bracelet for €149 at the top is another favourite of ours because it shows off the colour of the rose gold. Of course, no collection would be complete without delicate silver tennis bracelets, perfect for the bride and her bridesmaids. DYRBERG/KERN bracelets range from €79-€199 and we have a special love for the silver Hexa ear cuffs just beneath the tennis bracelets. When these earrings are in, they give the illusion of a line of delicate diamonds lining your earlobes, and they are €69.